When you trust your property to AM&G, you get craftsmanship, knowledge, and a level of commitment that is unparalleled in New York City. Since 1980, we’ve been caring for New York’s prized landmarks. AM&G’s mission is to provide the finest, most comprehensive set of restoration services for New York’s buildings. Our goal with each project is to not only fulfill our mission, but to go beyond our clients’ expectations. 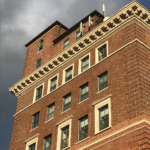 Even when the scope of a restoration project is on a rooftop or high above ground, we take pride in perfectly-executed work. 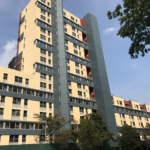 AM&G’s goal is to live up to the world class stature of New York City’s architecture, providing restoration services that are worthy of our clients’ trust. Whether your property is large or small, trust AM&G to give your property the care and attention it takes to guarantee long term success. We offer all the services that keep your building in superb condition. Email us to discuss your property.